Fidget spinners have become a real craze and not just with children. Some people just find them fascinating and others feel they have therapeutic value. Not surprisingly, the manufacturers claim fidget spinners have a number of benefits for those who use them. Some psychologists and other professionals agree. However, the general consensus is that insufficient research has been done so far to be conclusive. It is a small toy usually having two parts. There is a central bearing which is held between the thumb and index finger, and a 3 pronged 'blade' with rounded ends that spins around when flicked with the other hand. There are some fidget spinner with a 2 pronged 'blade' and others with more than 3. They may be made of various types of metal or plastic. 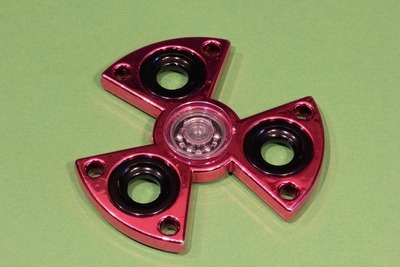 They contain ball bearings which allow them to spin. 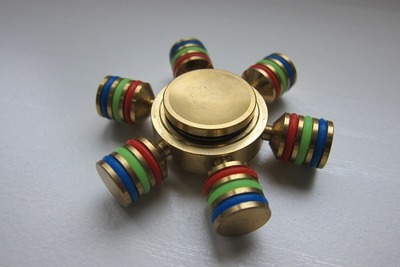 Some can be dismantled to replace or clean the ball bearings when the gadget no longer spins smoothly. Many variations are available. Some contain a battery and light up when spun. The price is usually only a few dollars but I heard that one type retails for around $900. Yikes. There is a 'golden snitch Harry Potter Metal Fidget hand Spinner' which does look rather like the golden snitch seen in the Harry Potter movies. A fidget spinner may have a key-chain attached. There are fancy ones which can also be used as a bottle opener or wrench. Some glow in the dark. What can you do with a fidget spinner? The basic idea is to flick the blade and let it spin. It is also possible to do various tricks such as balancing it on the top of a finger or throwing and catching it. What benefits can an adult get from a fidget spinner? Fidgetting is said to help a person who suffers from mild anxiety remain calm because it gives them something to focus on. 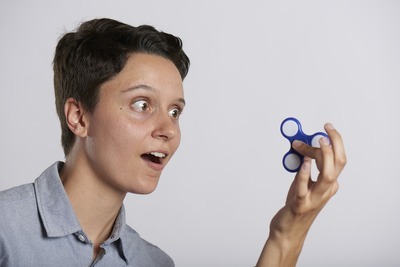 Using the fidget spinner acknowledges that the person has anxiety and helps with mindfulness instead of the person feeling in a panic about the anxious feeling. 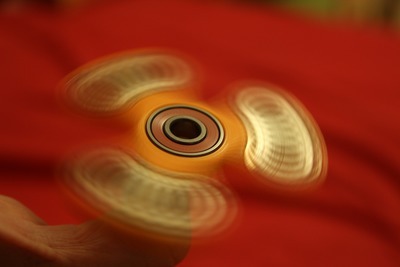 It is claimed the visual effect of the spinning is calming because it is predictable. It gives a person something to do with their hands when they are bored or anxious and may help a person quit or at least cut down their smoking habit. Some adults use a fidget spinner instead of biting their nails, picking at their cuticles, leg shaking or other habit. 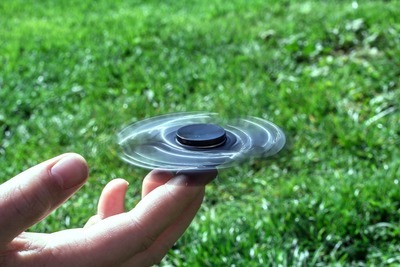 Although there is insufficient research at this time there is anecdotal evidence suggesting use of a fidget spinner may ease stress and symptoms of conditions such as ADHD, autism, PTSD and Anxiety. Some users say a fidget spinner helps them avoid obsessive thoughts. Adults and children may benefit from fidget spinners but more research is needed to substantiate various claims. There have been concerns about the safety of some brands of the gadget when used by young children. There is a risk of choking on the ball bearings if the spinner falls apart or is dismantled. Spinners that light up contain small batteries which can be a choking risk. Reports claim a couple of types contain lead and a few types have sharp edges. Whatever your age, it is wise to inspect toys regularly to make sure there are no visible safety risks such as sharp edges which could cause injury. 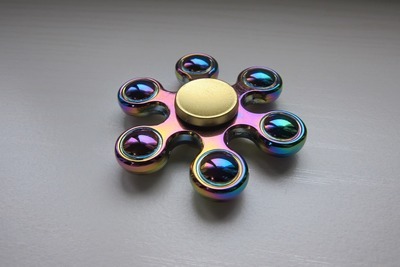 It will be interesting to see the findings of further research and if the fidget spinner craze continues or dies out.